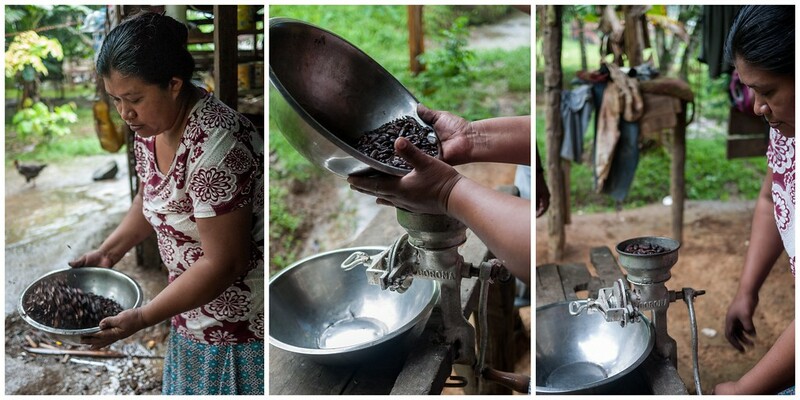 That was very neat hearing about you making the freshly pressed cacao. I enjoy hearing more about your trip! Safe Journeys!! P.S. AJ still doesn’t like tacos!!! 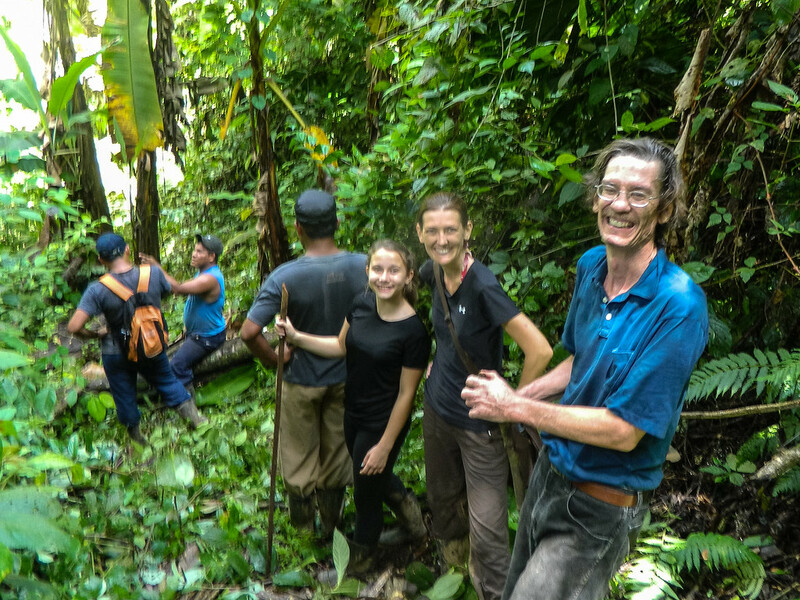 We visited the Silico Creek community yesterday on our way back to Boquete from Bocas. 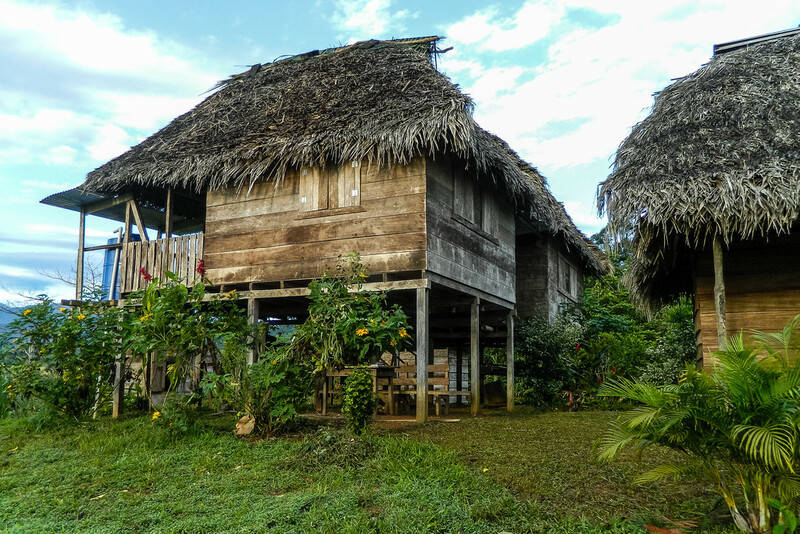 The ngobe community is located at KM 25 right off the road. There is a small shop selling locally made craft items. We were led through the village to Dalia’s house where we met her father, Quan. 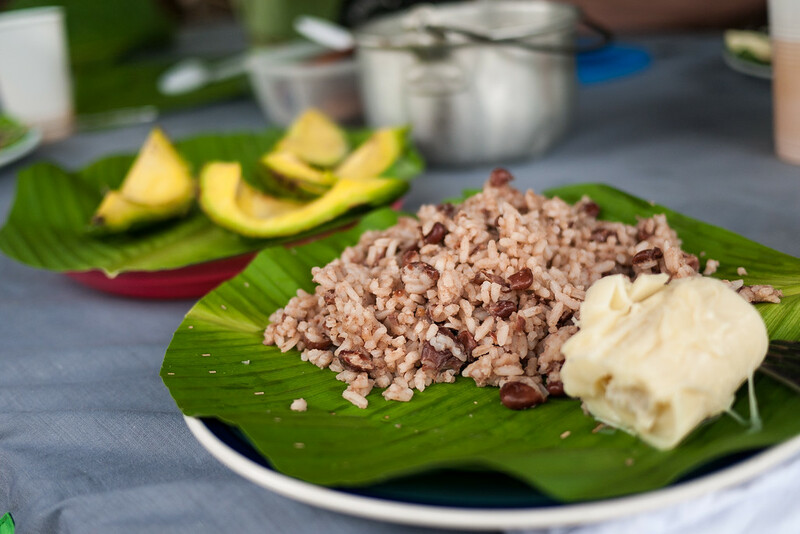 He explained the process of growing, fermenting and drying cacao and then Dalia demonstrated the roasting process over a wood burning stove, then she ground the seeds and we bought some of the cacao paste still warm from the process. It was totally awesome to witness the communities’ enterprise and get to interact with the ngobe villagers. They were very happy to share with us. We only took the tour and did not spent the night. I made some chocolate bread with the cacao which was delicious. Stop in and visit the community. It is well worth it! Loved this article. Panama is on my list, and now I can add Silico to the itinerary. It sounds like you had a wonderful time and got to know the people. That is surely the best way. 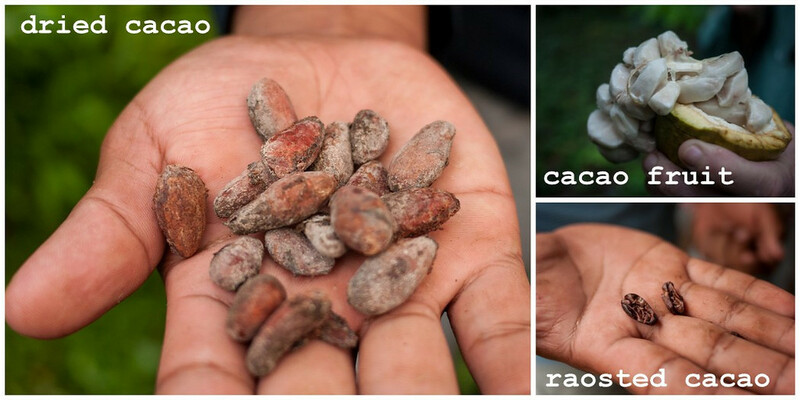 For the love of organic chocolate and everything cacao , I enjoyed reading the stories about Silico Creek. I recently went to Honduras and visited Carambola Botanical Gardens in Mahogany bay, Isla Roatan and the owner just happened to be from North Carolina. 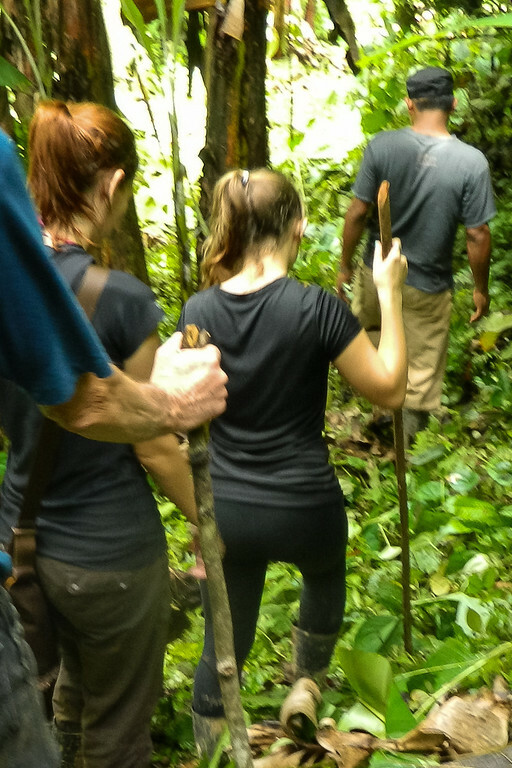 He was very passionate in teaching us about the ‘chocolate’ tree and the super fruits that are widely cultivated by locals in Honduras but due to lack of time, we didn’t get a detailed experience as you described above. 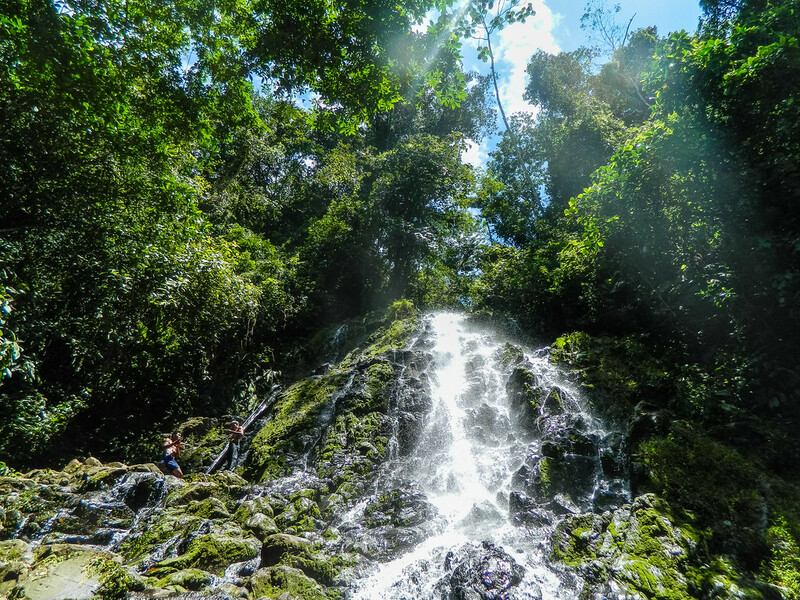 One of our shared concerns was that local tourism isn’t as well promoted to average travelers who have little resources in regards to how to go about it. Thank you for writing this peace and I’m looking forward to learning more about grassroots travels and fair trade organizations globally. Ah, the grinding machine! We recently did a chocolate workshop in San Cristóbal de las Casas, Mexico, and I had to tackle one of those beauties. I looked like an overeager idiot (it’s supposed to be a gentle procedure, not a race to the finish line), but at least we made a ridiculous video out of it. Although a lot of fun, it does not compare to your brilliant experience in Silico Creek. As you wrote, “In stepping off the path a bit, comes the insights, stories and interactions that shape my most prominent travel memories.” I absolutely agree and relate, and the more I travel the more that sentiment holds true. Thank you for a fantastic read and for putting Urari on our radar. 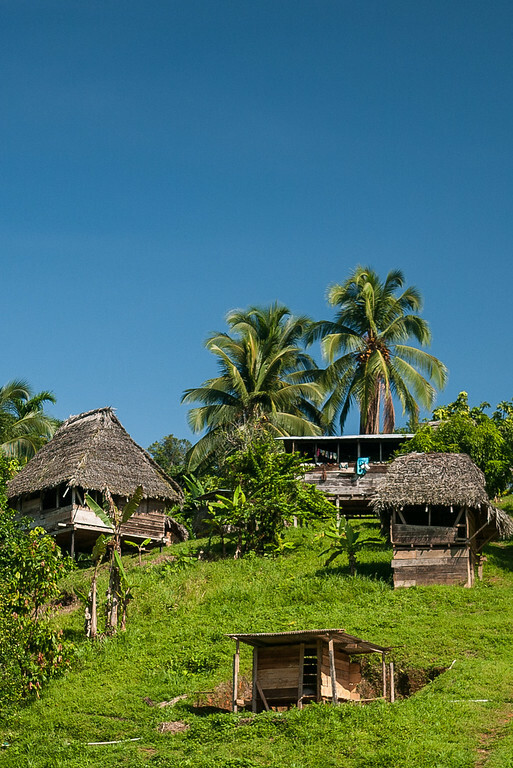 When we eventually make it to Panama (maybe I should start writing if…), we’ll be sure to pay a visit. Safe and happy trails! I have done the same when weilding the grinder — they’re always doing the “calm, slow down” gesture to me when it’s my go. 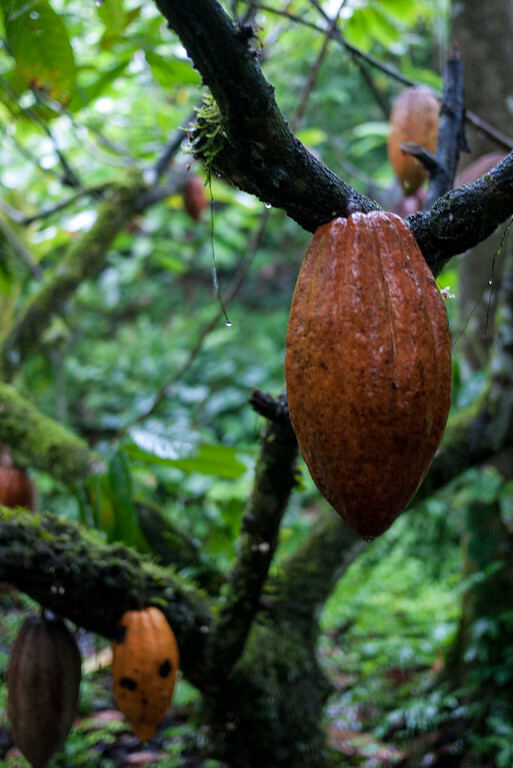 :) So glad you got to see the chocolate process as well — did you try the bitter liquid cacao, nothing like the sweet chocolate I so love! A very interesting read, Shannon. 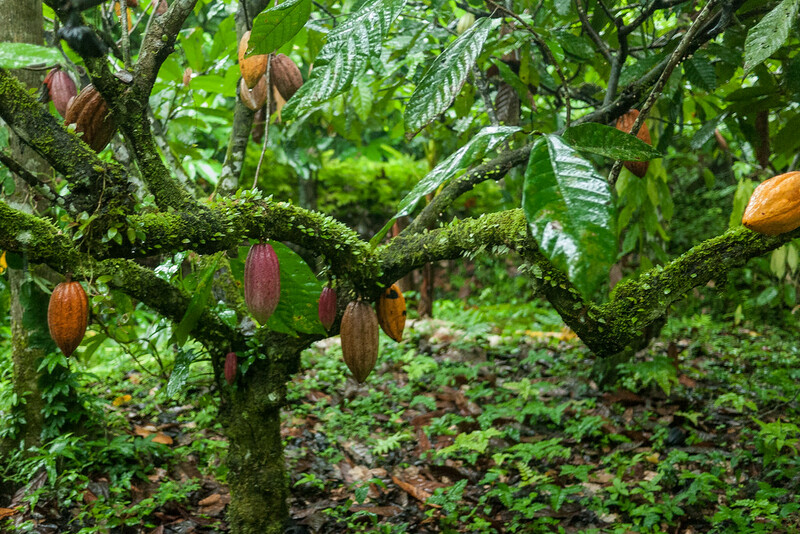 I just wrote a post on my blog about the Choco Museo which has locations throughout Central and South America and how they’re committed to producing artisanal chocolate in countries where cacao grows. 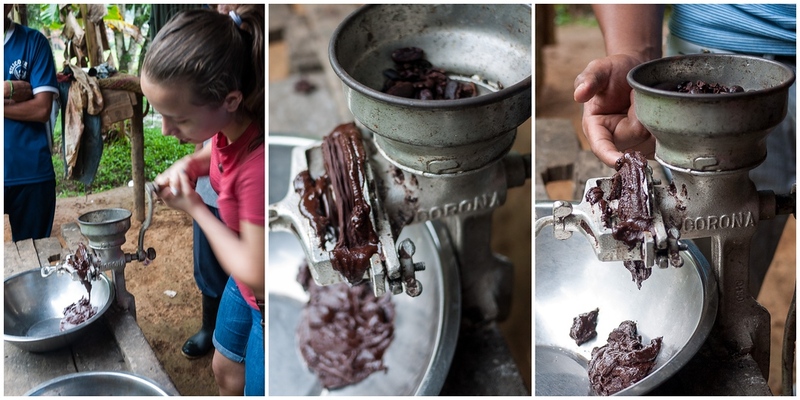 We took part in a chocolate making workshop at their Nicaragua location, and I so wish that we had a grinding machine like the ones in your pictures. Instead we used the good ‘ole mortar and pestle which is hard work! 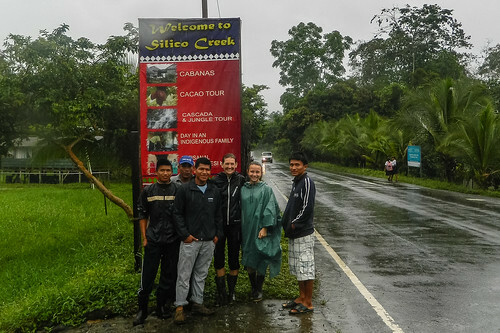 The Choco Museo also offers tours and stays at local cacao farms, but unfortunately we didn’t have the time to visit one. I love reading about grassroots tourism and I’m taking more strides to engage in sustainable travels in my future journeys. 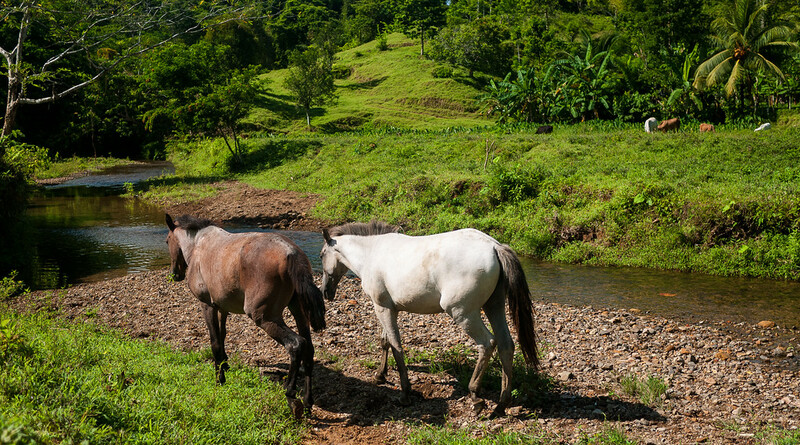 It’s also great to read posts about Panama as I lived there for several years as a child. This looks absolutely incredible and is exactly the type of travel I want to do. I can only imagine how that chocolate tastes. Incredible piece – thanks for sharing! This is so incredible. I wish that I had taken the time to visit when I was in Boquete – I heard about the conmarca but we never visited and I (regretably) never took the time to learn about the Ngöbe Buglé. I’m hoping to head back to Boquete soon, though, and I would love to learn more about this grassroots effort so hopefully I will be able to visit. This is a very informative article and a good glimpse at a culture that is using bootstrap effort. Thanks for such a great read and an insight into a community and way of life very different from that here in Australia. It is great to see these communities taking proactive steps to take charge of their future – and the chocolate was an added bonus! Excellent post on grassroots tourism. And I just checked your book out from my local library; I’m excited to read it! Thanks Claire! So happy it was at your local library, and I would love to know your thoughts or questions once you’ve read it! After only 10 weeks on the road (and it didn’t take all of them to work it out), I know that I almost always feel disappointed with tourist-tours. It’s the chances to meet people going about their real lives and doing their real jobs that are the most interesting and memorable, so I will have to focus really hard on trying to find more. Agreed Jo! Though there are times I do traditional tours, it’s really the one-on-one experiences that leave a lasting impression on me and have shifted my perspective in profound ways. Safe travels and good luck hunting down some more experiences!